When Alexander Hooper built the house, the 2nd floor was designed for apartments. The Alexander Suite is one of the original units and has the most detail original to its design. 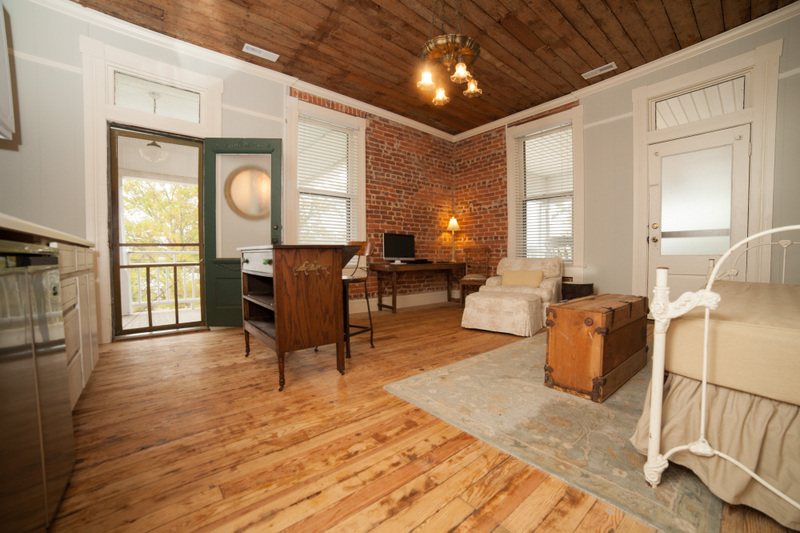 It has exposed brick walls, heart pine floors, and the original wood plank ceilings have been restored. It also displays the original vintage brass lighting. The sitting room features an antique day bed that converts to a king, an upholstered chair and ottoman, a vintage island with seating, a flat screen tv, and other antique furnishings. 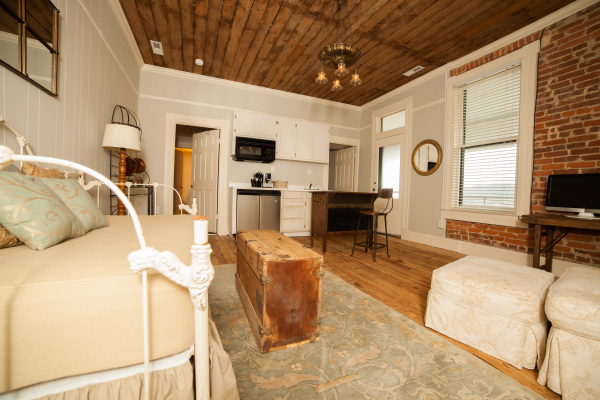 It has a studio-style kitchen with a convection microwave, mini fridge/freezer, and a small cook top. 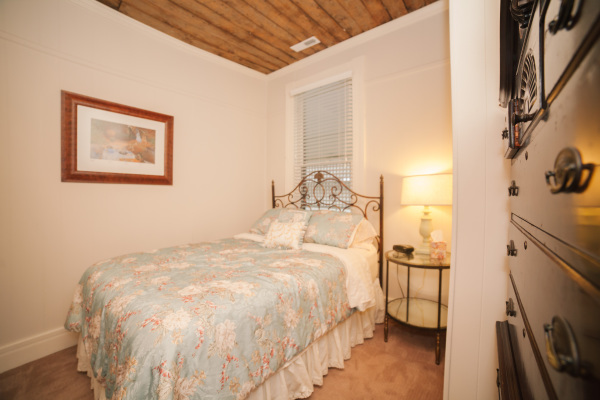 The bedroom features a plush queen iron bed, a flat screen tv, and antique furnishings. 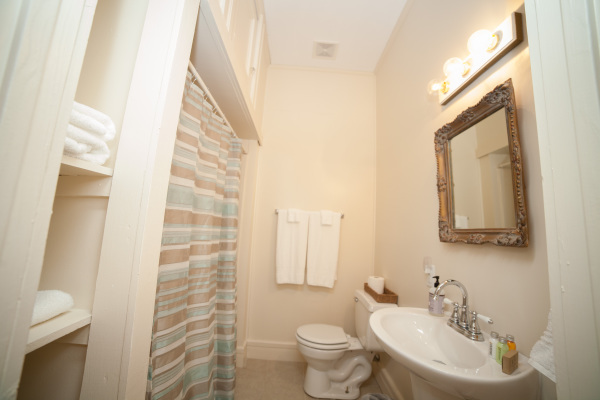 The bathroom features a tub/shower and a pedestal sink. 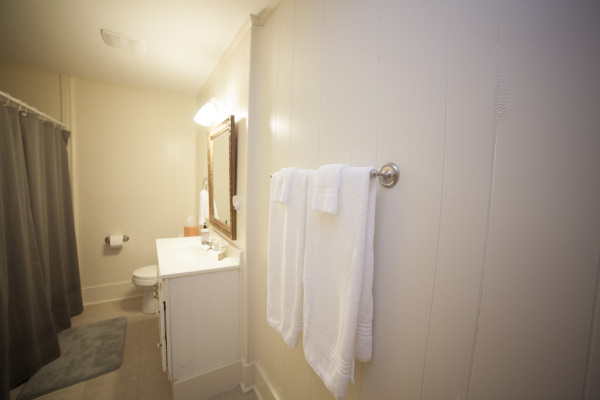 (There is an additional hall bathroom that can be included) This room is on the second floor and has private porch access.